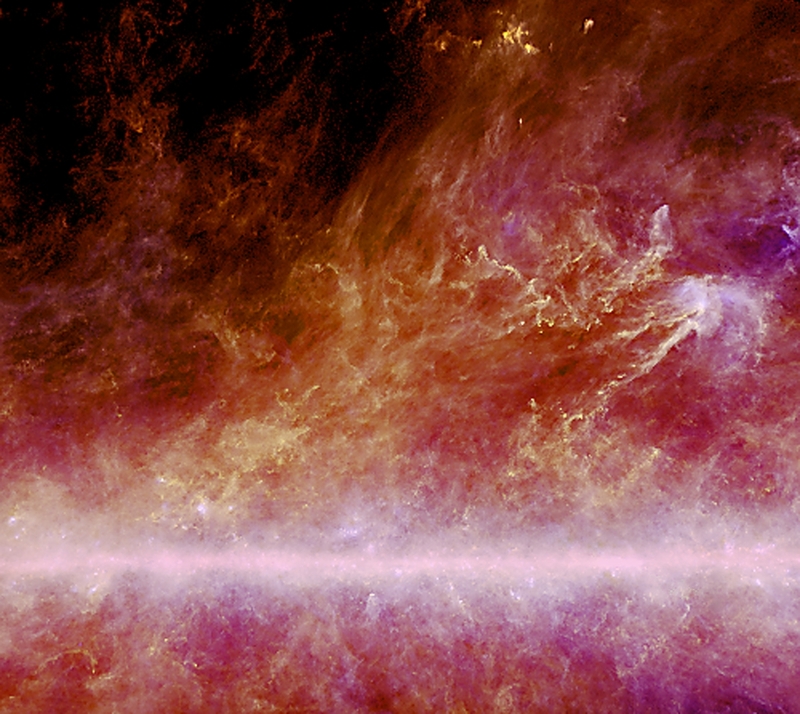 This entry was posted on March 17, 2010 at 10:40 am and is filed under Galactic science, In the News, Planck, Science. You can follow any responses to this entry through the RSS 2.0 feed. You can leave a response, or trackback from your own site. Beautiful photo, congrats on completing the first survey loop a few weeks ago. Question: what is the comparison of the wavelengths, spacial resolutions and radiation sensitivities of Planck compared to the recently launched NASA WISE infrared survey? I understand the different mission goals, focusing on the CMB vs. a general IR survey – but why can’t WISE do CMB work as well? WISE works out to 24 microns in wavelength and, at that wavelength, is aiming at the warm dust in galaxies. It also operates at shorter wavelengths. The CMB peaks at about 1.4mm in wavelength – *much* longer than WISE can reach, It’s thus completely unable to observe the CMB.